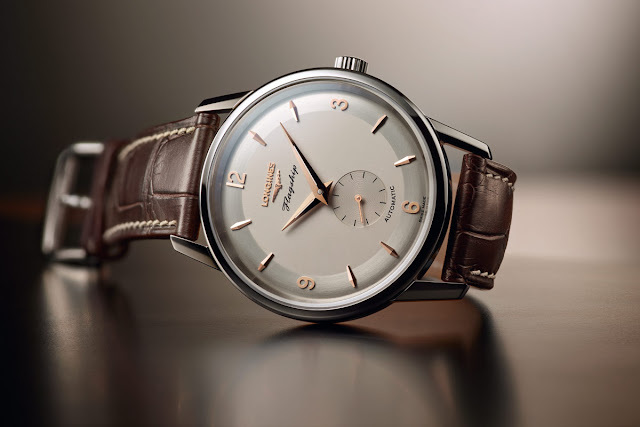 To celebrate the 60th anniversary of its first Flagship collection, Longines introduces the Flagship Heritage 60th Anniversary 1957-2017, a new classic timepiece available in three limited editions in steel, yellow gold or rose gold. In their 38.5 mm case, the numbered timepieces house the L609 self-winding calibre (ETA 2895/2) beating at 28,800 vibrations per hour and offering a 42-hour power reserve. The brushed silvery dial is adorned with 8 indexes and 4 Arabic numerals, in yellow gold or rose gold colours to match the Dauphine hands coated with Super-LumiNova. As with the original timepieces, the back of these commemorative watches bears a stamped caravel, the flagship i.e. the ship upon which the flag of the fleet’s commander in chief snaps in the wind. 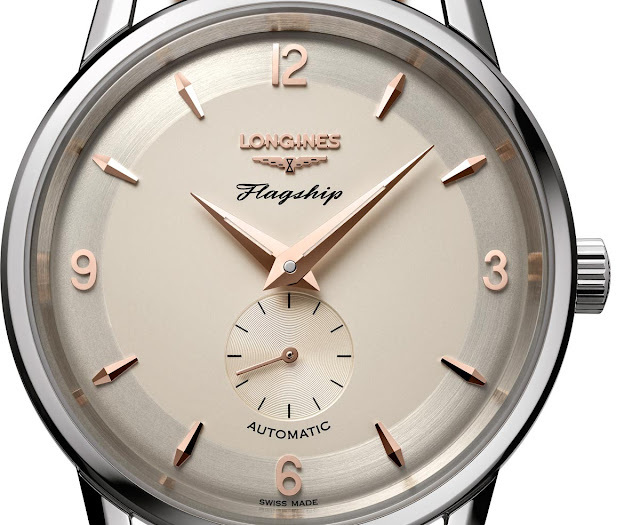 Longines Flagship Heritage 60th Anniversary 1957-2017. 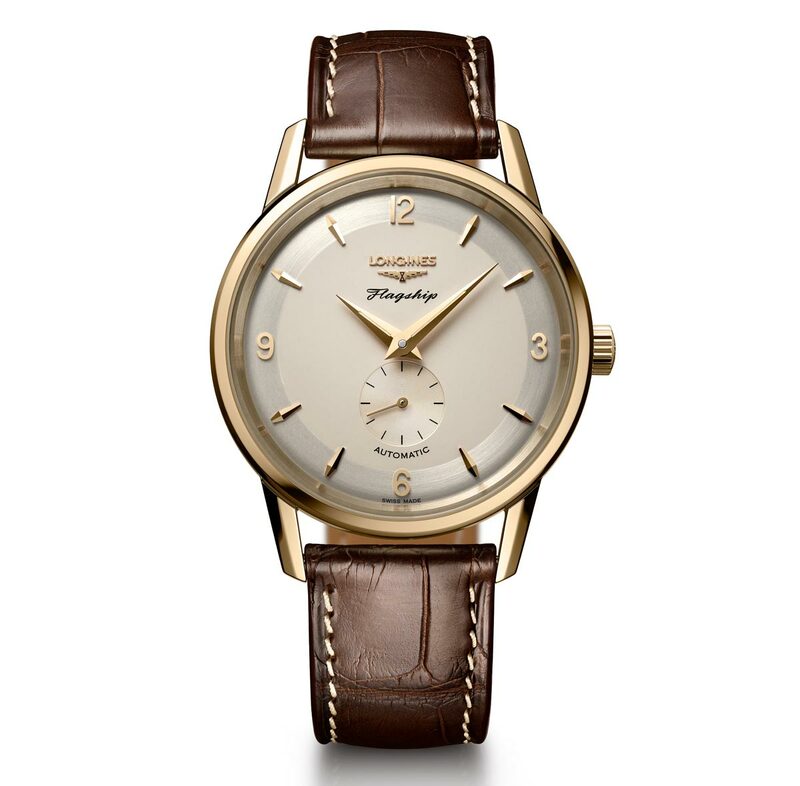 To celebrate the 60th anniversary of its first Flagship collection, Longines introduces the Flagship Heritage 60th Anniversary 1957-2017, a new classic timepiece available in three limited editions in steel, yellow gold or rose gold. The Longines Flagship Heritage 60th Anniversary will be produced in 1957 pieces in steel (ref. L4.817.4.76.2), 60 in rose gold (ref. L4.817.8.76.2) and 60 in yellow gold (ref. L4.817.6.76.2). Prices starting at Euro 1,730 for the steel version.